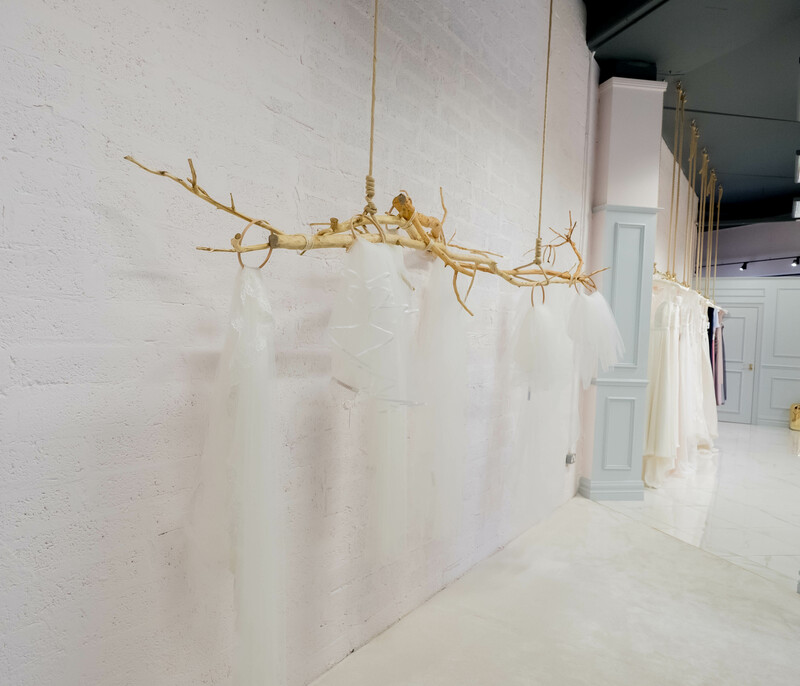 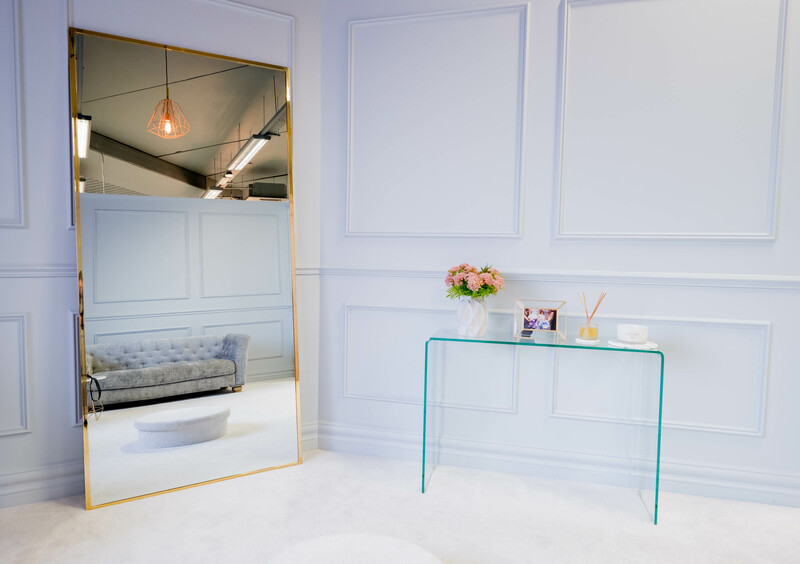 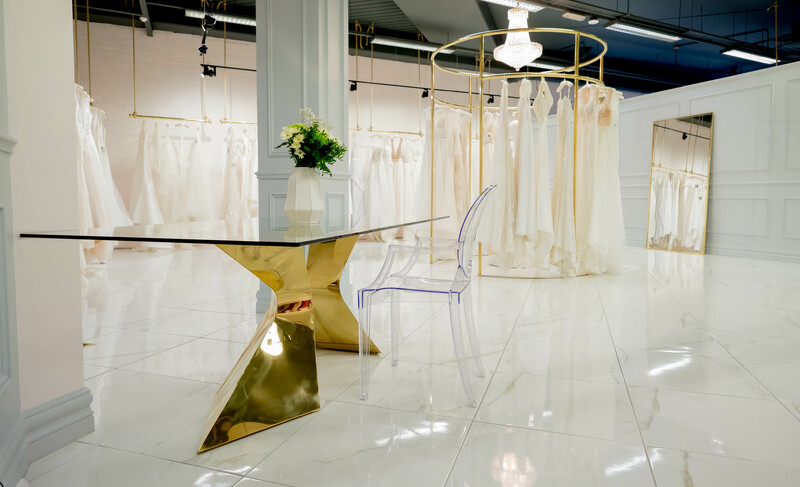 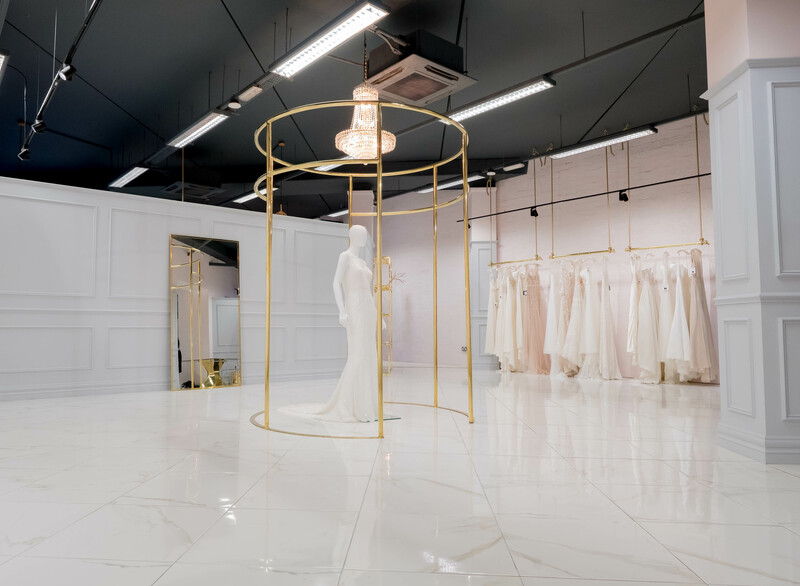 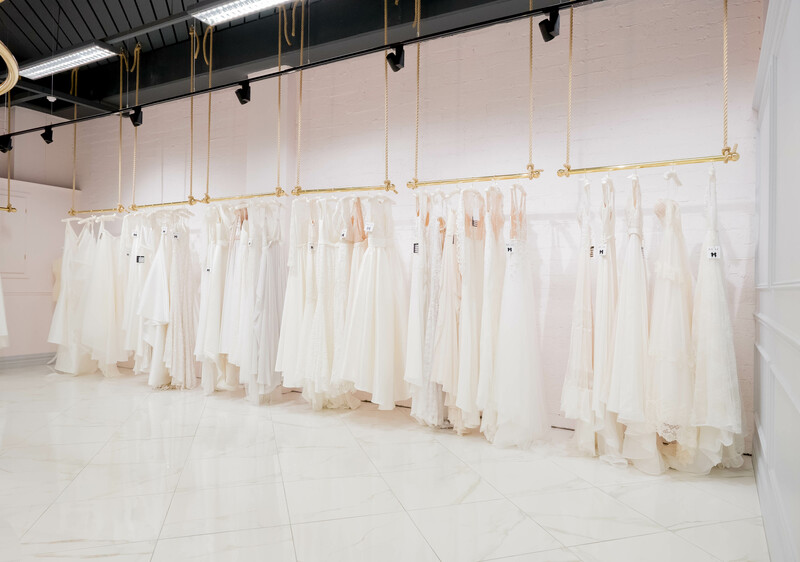 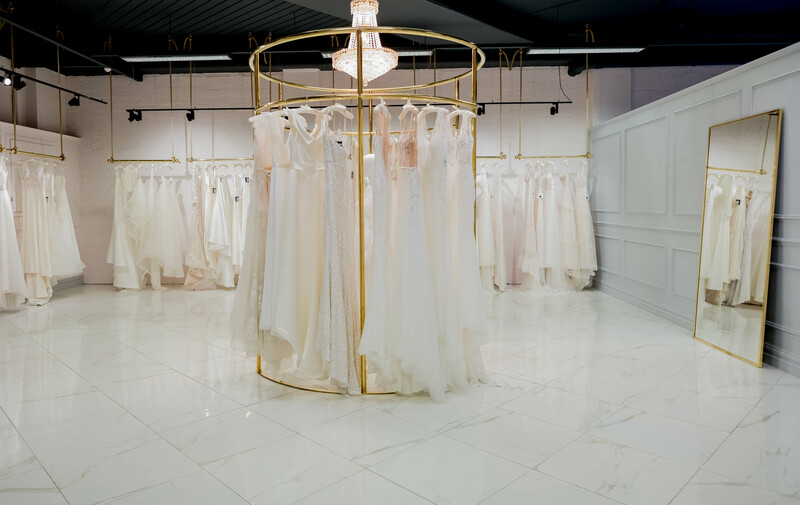 To design and fit out a unique and stylish bridal studio for Beau Bride in Naas Co. Kildare. 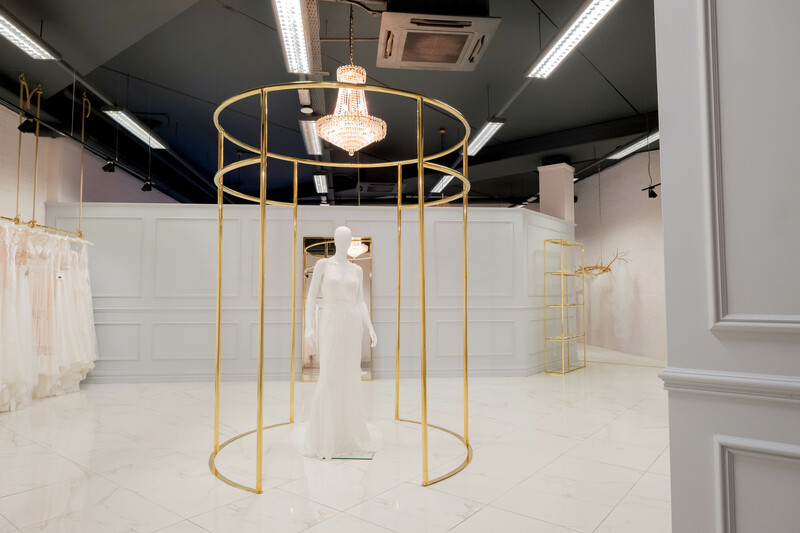 In just 10 days we transformed this shell & core unit into an industrial modern front of house area that radiates opulence with carrara marble flooring, bespoke polished brass centre floor display and rails suspended with jute shipping rope - perfect for displaying Beau’s range of internationally sourced contemporary gowns. 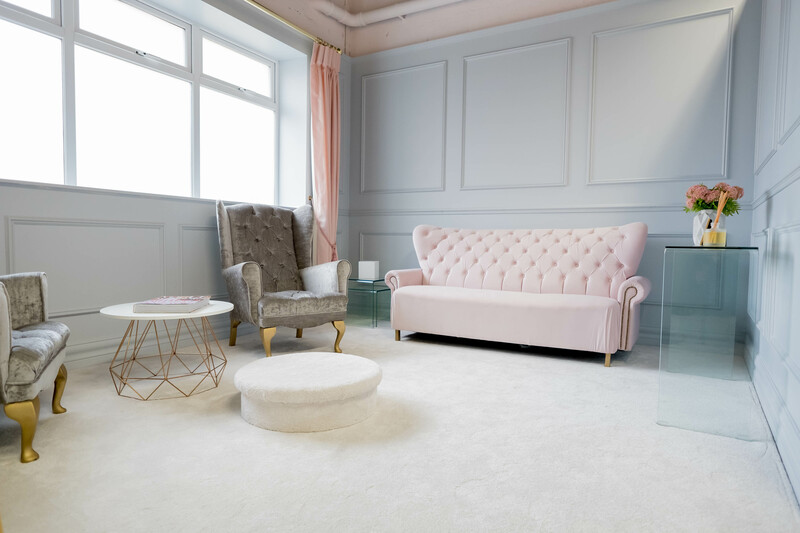 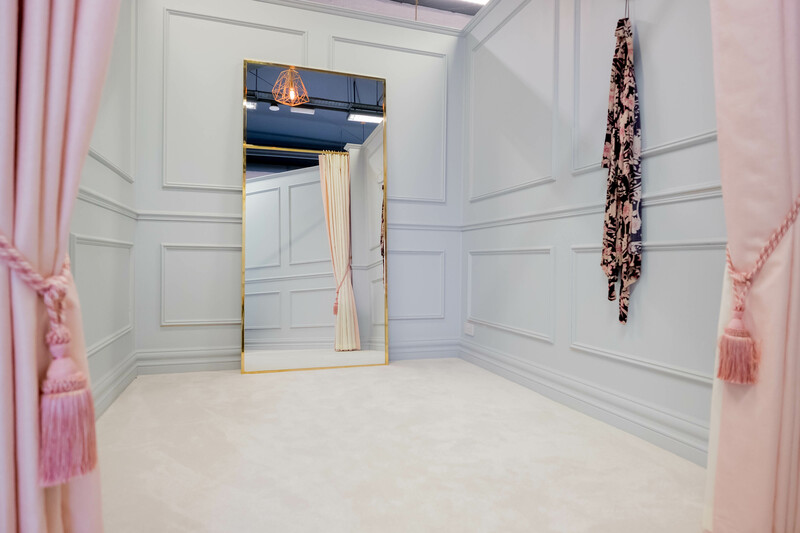 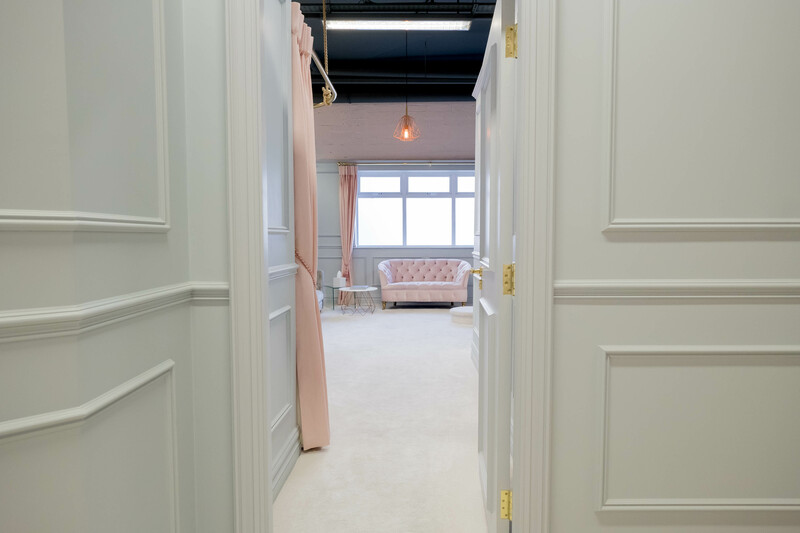 While the sophisticated colour palette, deep pile carpeting and plush soft furnishings adds a subtle luxuriousness to the spacious dressing suites - making it the perfect space for a bride to be and her bridal party to enjoy.